Skinny jeans might have fallen out of favour with the fashion crowd a few years ago, but there wasn't one obvious alternative to skinnies with the same mass appeal—until now. Last season, straight-leg jeans were the hero silhouette for many brands, from Joseph and Marques Almeida to high-street denim trend-setters like Weekday. And it looks like this is becoming a commercial hit that might just revival the skinny in 2019. This vintage-style jean—think of the ones Bruce Springsteen wore on the Born in the USA album cover—suddenly feels really current. Weekday's creative director, Louise Lasson, previously explained to Who What Wear UK that the most popular denim style are vintage-wash light-blue denim with straight legs, however, there are plenty of variations getting our attention, from white Princess Diana–esque jeans to Simon Millers ankle-split jeans. Keep scrolling to see how the Instagram crowd is styling their straight legs, and shop our edit of the best pairs around. 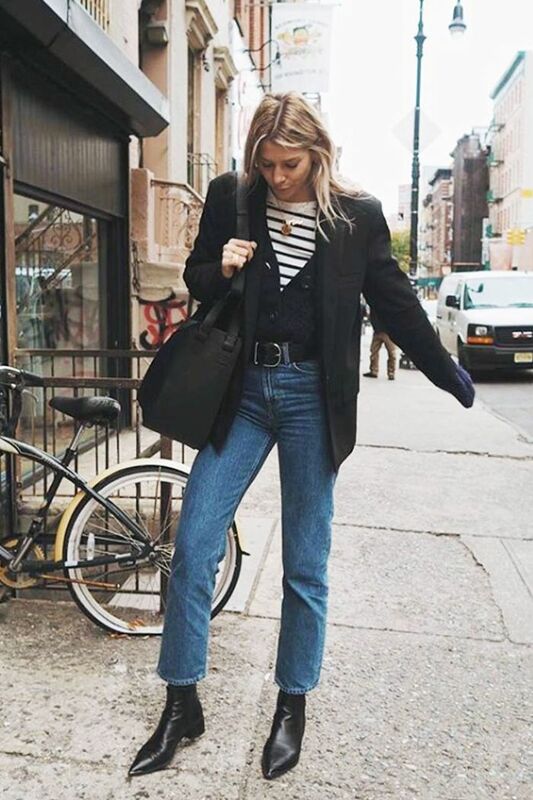 Style Notes: Lindsey of Ropes of Holland wears a pair of Weekday's straight leg jeans with black leather ankle boots. 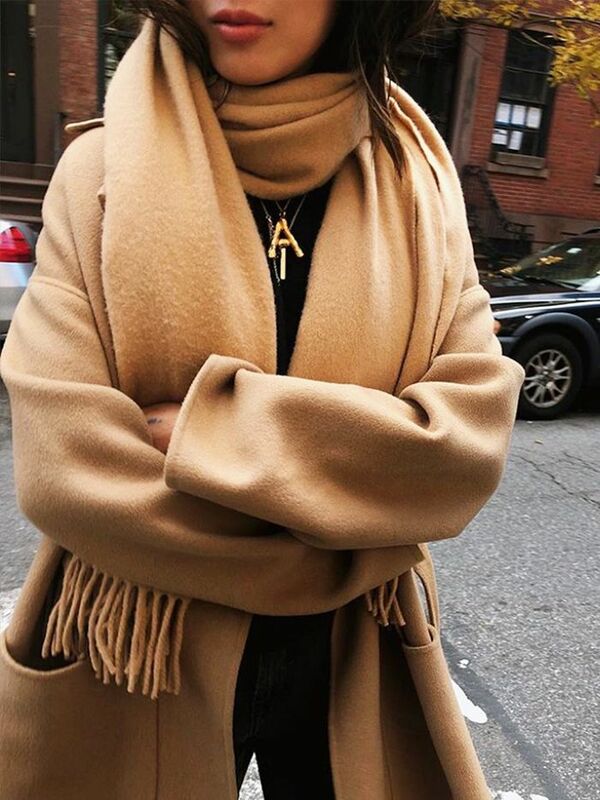 Style Notes: Sylvie Mus opts for a more oversized fit, which perfectly compliment her teddy coat. Style Notes: Camille opts for a lighter wash which fall just above the ankle, which show off her statement backless leopard mules. Style Notes: White jeans can work for winter too if you pair them with ankle boots and a cosy coat. Style Notes: You can't go wrong with straight-leg jeans paired with a blazer, white T-shirt and ankle boots. AGOLDE is a new favourite with us when it comes to denim. We simply can't argue with the fit. Indigo denim is great for day to evening as it looks much more dressed up. Arket have quickly become one of our favourite high street stores for denim. Eytys denim is having a real moment right now; their shape is unbeatable. The super light wash of these H&M jeans feels very 90s. We're so into the button detailing on these Joseph jeans—they look and feel really luxe. These relaxed jeans will look great with a pair of cowboy boots. The denim duo Marques Almeida have totally nailed the ankle split denim trend. The top-stitching on the these Topshop jeans make them look super expensive. These are very comfortable for everyday wear. Charcoal denim is one of our favourite shades for winter weekends and it works well with all the khaki and rust tones we're into at the moment. If you like the vintage look, you can't beat Re/Done jeans. An ankle split is our new favourite thing and it feels oh-so 90s. Weekday is one of our favourite places to buy denim on the high street. The side stripe on these jeans makes them feel super current. To get ahead of the boxing day sales, see our edit of the best pieces that are already on offer.